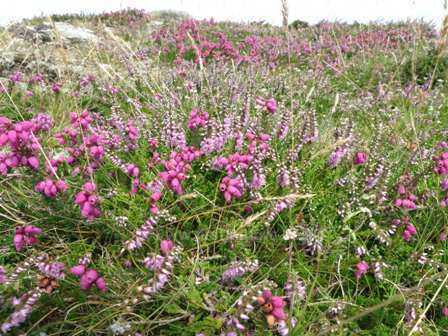 The reserve is situated on the north coast of Anglesey, on land owned by the National Trust and leased by North Wales Wildlife Trust (NWWT) since 1971. At the western end of the reserve are the remains of a large house called Bryn Aber, which was bought by a Captain Vivian Hewitt in the 1930s. Wealthy and reported to be somewhat eccentric, Captain Hewitt had a passion for birds; this led him to create a dam and weir at Cemlyn, changing the saltmarsh area close to the house to become the large lagoon that we can see there today. The lagoon is now a wonderful refuge for wildfowl. This change of habitat, from a tidal area that frequently dried out during the summer months to a stable water-body containing several small islands, has provided an ideal nesting site, protected from predators, for the terns that return there each year to breed. Today both the level and the salinity of the water are monitored and managed to maintain ideal conditions for the nesting terns and the other wildlife that live there. 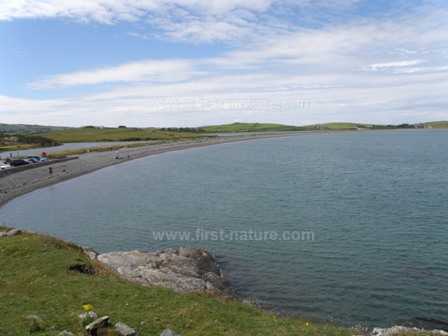 Cemlyn Bay is part of a Special Protection Area (SPA) for birds which includes the Skerries. On Anglesey, Cemlyn is sign-posted from Tregele on the A5025 between Valley and Amlwch. Roads to the site are narrow with passing places. There are two car parks adjacent to the reserve, one at either end of the bay. The shingle beach has easy access from the car park, but the area can become flooded for up to an hour either side of high tide. There is a good path along the coast towards Wylfa Power Station, but it doesinvolve a bit of rock-hopping and so is not suitable for wheelchair users or prams. There is an interpretation board close to the car park. On all but the wildest of days Cemlyn Nature Reserve is a lovely place to visit with lots to see, from the birds on the lagoon and the plants along the shingle beach to the lovely rock pools along the walk towards Wilfa Power Station. Set slightly back from the coastal edge of the reserve are boggy areas where you can see wild orchids; Early Marsh-orchids (Dactylorhiza incarnata) and marsh helleborines (Epipactis palustris) can be found in bloom from late May through to mid-July. Cemlyn Nature Reserve is known mainly as a valuable site for terns. Common Terns (Sterna hirundo), Sandwich Terns (Sterna sandvicensis) and Arctic Terns (Sterna paradisaea) breed there during the summer, with Sandwich Terns making their first appearance in late March or early April. By mid-August the chicks are fledged and ready to begin the long journey with their parents to the coast of West Africa, where they spend the winter. For those interested in mammals, reptiles and plantlife there is much to see. 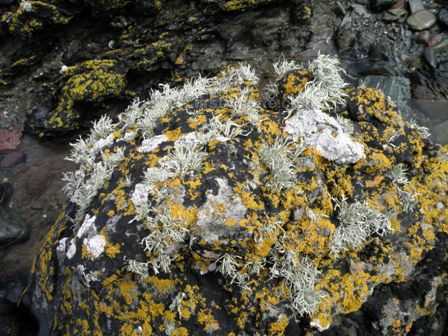 The wide variety of plants, including the Yellow Horned-poppy (Glaucium flavum) and the rare Sea Kale (Crambe maritima), found on the shingle beach at Cemlyn attracts a diversity of insects, notably butterflies such as Grayling (Hipparchia semele) and Common Blue (Polyommatus icarus). Brown Hares (Lepus capensis) are sometimes seen here, and both Weasels (Mustela nivalis) and Stoats (Mustela erminea) hunt in the reserve. Following one of the most successful seasons ever at Cemlyn Nature Reserve’s seabird colony on Anglesey, a new short film ‘Cemlyn’,has been produced. The film gives a flavour of the wildlife at the site, and explores the conservation and education work done by the North Wales Wildlife Trust (NWWT). Greengage Films, who specialise in wildlife and environmental film-making, spent time at the reserve this June, documenting the Cemlyn Bioblitz event and following the daily activities of the two NWWT’s summer wardens.